Summer may be coming to an end, but the pest problem in our homes and gardens continue. We need to be vigilant, putting an end to the insect and rodent problems before they lay waste to our autumn gardens and the insides of our homes. The following are just a few of the pests you need to look out for. As the leaves begin to die and fall from any trees in your garden, you can expect the arrival of these terminable insects. They are attracted to the smell of decaying leaves, so you can expect to find termites in trees, eating away at the wood from the inside out. Having laid waste to your garden woodland, there is also the danger of them encroaching on your peace and happiness indoors, laying their eggs, and causing an infestation that will literally eat your house if not stopped. Tip: There are a number of ways to defeat these terrible insects. Your local garden store will sell pesticides, but there are more natural ways of killing termites, such as a mix of vinegar and lemon in a spray bottle. However, before you start exterminating them, you can also purchase termite netting from your garden store, as this will prevent access into your home. Removing all sources of wood from near your home is another solution, so get rid of any timber, mulch, and cardboard to minimise risk. 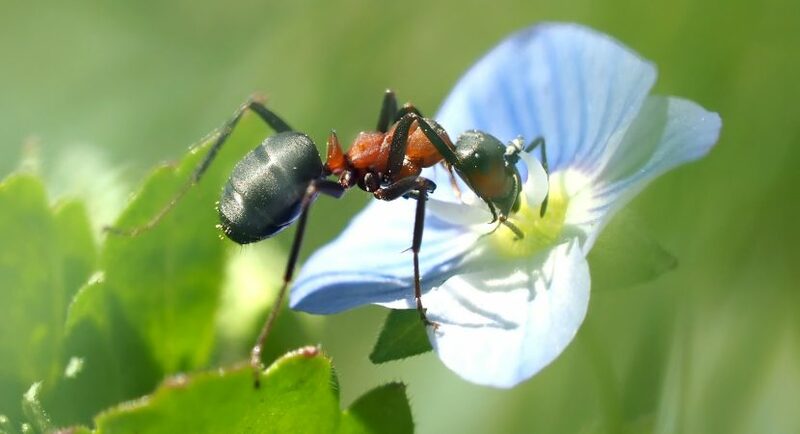 As the days get colder, you are less likely to see ants outdoors. Before they go into hibernation for the winter, however, you are still likely to see them indoors. And when one arrives in your home, you can expect to see more thanks to the scent trails they leave behind to attract more of their antsy brethren. If you’re not up to scratch with your food disposal, you can expect a legion of ants traipsing around your kitchen and other eating areas. Tip: We have already covered the problem on this website, so for some invaluable tips, read our guide on stopping ants from coming into your home. Deterrence is always best, especially if you always feel guilty after squishing the poor things. Kitty alert! Rats and mice are likely to take shelter from the colder months in your shed outdoors, or inside your home. If you don’t hear the pitter patter of their tiny feet, you will still notice their presence by the holes they gnaw in your home, muddy footprints on your flooring, and the terrible smell of their urine. Your cat will also let you know, so expect a full-scale war of Tom and Jerry proportions. Tip: Before kitty lays waste to them, and before you call out pest control, you can stop mice and rats from getting into your home by filling any cracks and holes around your property. Make housework a priority, especially where food and crumbs are concerned, cleaning up any waste to remove temptation. And be sure to dispose of your trash bags outdoors, perhaps leaving them at a good distance away from your entry points to steer the rodents away from your home. If all else fails, call in the professionals. However, you can do yourself a favour and research the pests we have mentioned here, and all the other Autumn pests prevalent in the season, and get on top of the problem before your home and garden is invaded. Let us know if you have tips of your own too.